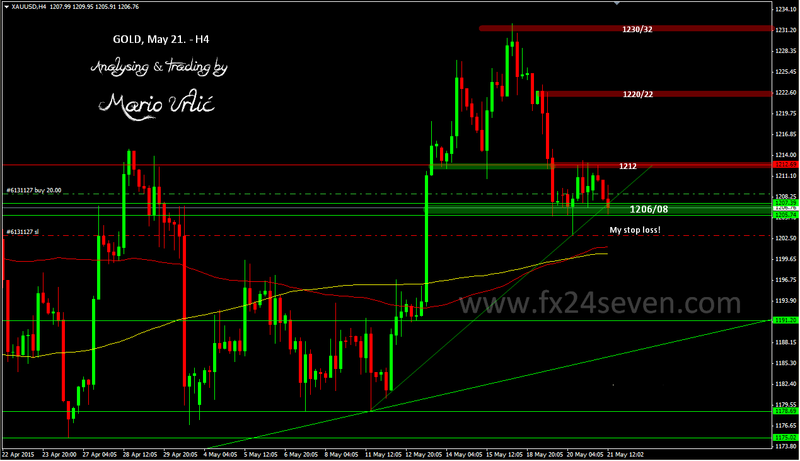 As you can see, the gold fell down true the trendline and H/1MA200 but support hold for now. My SL is placed at 1203 and if this support breaks, it could be hited! I will not change my position or move my SL lower. In about 10 minutes US Jobless Claims data is coming up, that will probably be ‘the trigger’ for up or down! Lets see! ?